Welcome to our site. This is the online gateway to the web design courses offered at New Hartford Senior High School. 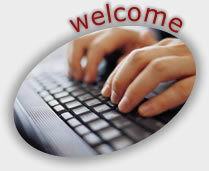 This site has been developed to serve as both a focuspoint as well as a launchpad for teaching the courses. These pages contain a showcase of the best student work we have seen, links to resources for students currently enrolled, and other valuable information about the course curriculum and equipment we use. The skills taught in this program are valuable as well as fun for students. It also represents a unique opportunity for high school students to learn such cutting edge skills. In closing, please feel free to browse these pages at your leisure and we hope you enjoy your visit! This class aims to show students web design is both a creative and technical process that emphasizes creative interfaces, functional site organization and logical navigation. Although artistic talent helps, following some basic design principles and using the correct techical procedures, the ultimate goal is that students learn it is possible to develop very professional, sound web interfaces. For questions or comments, please contact the webmaster of spartandesign.org.